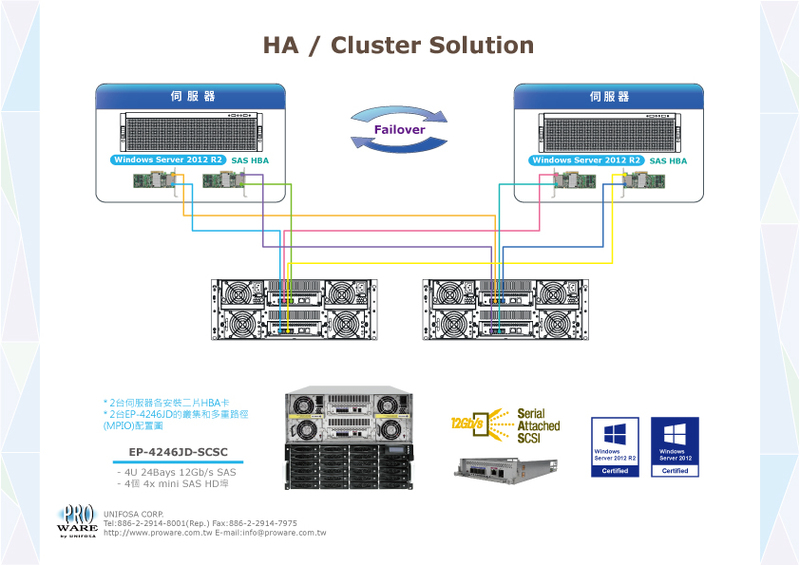 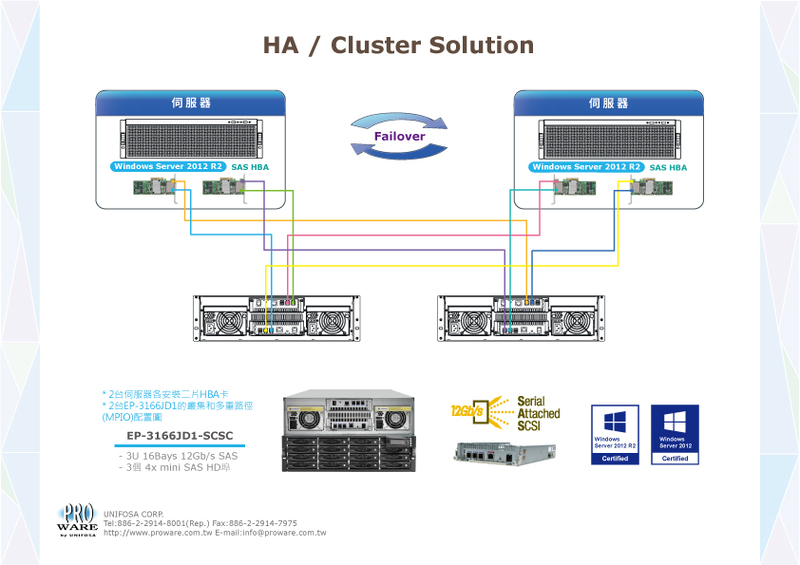 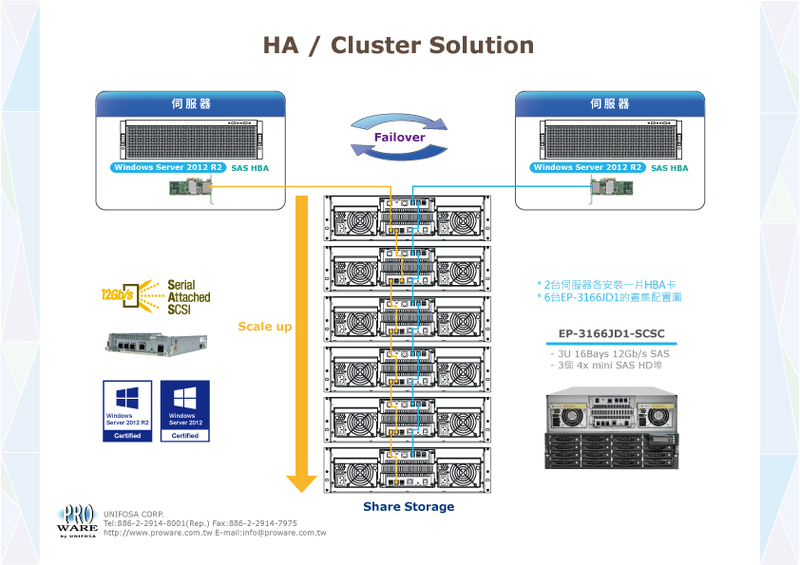 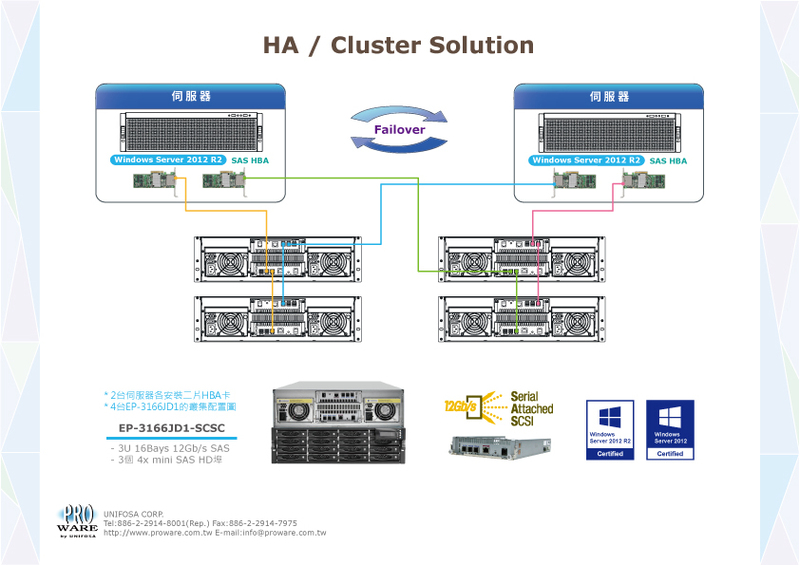 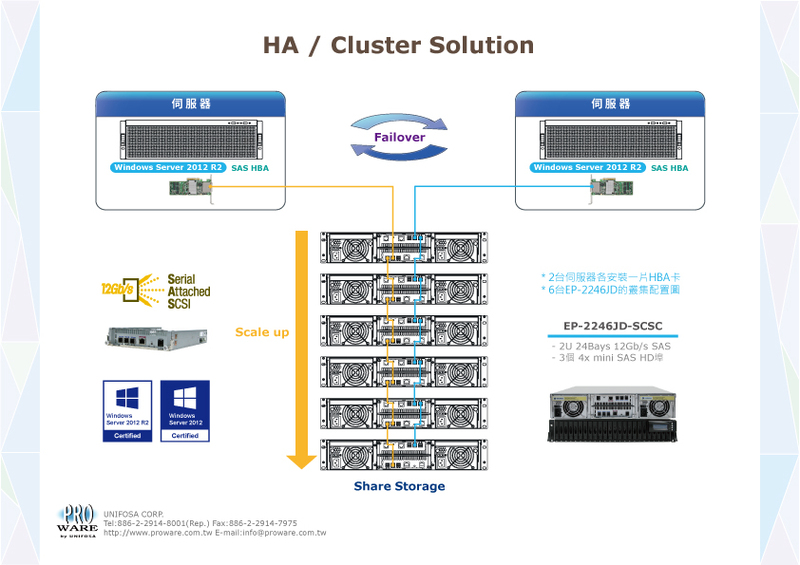 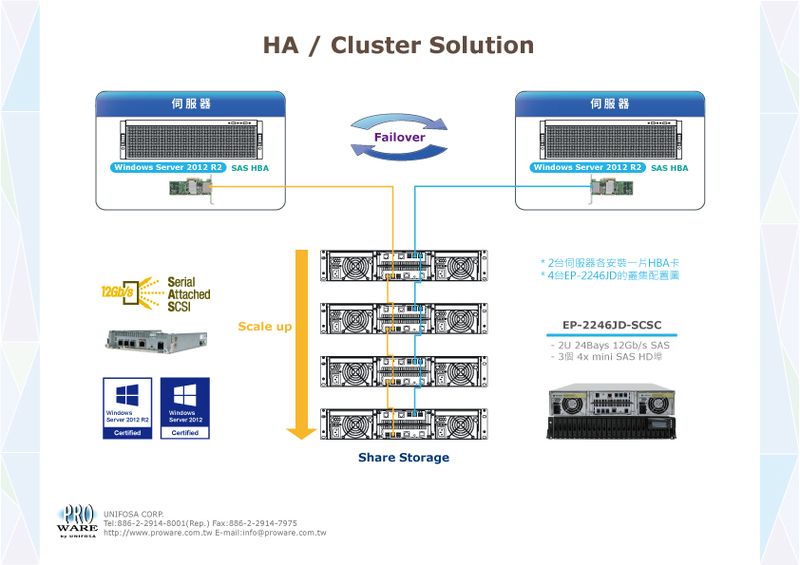 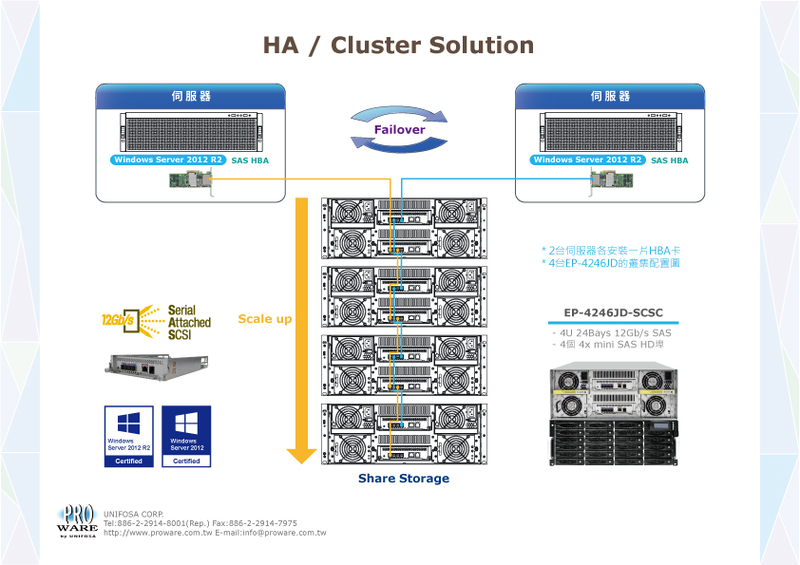 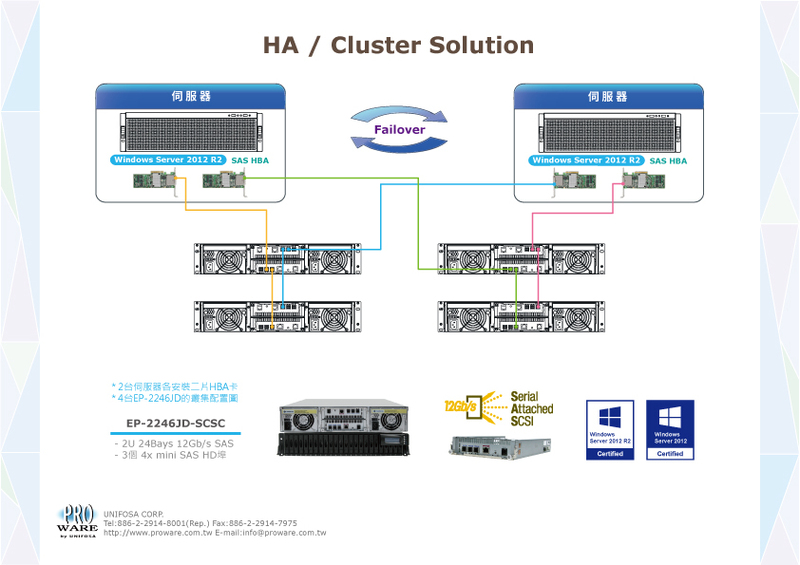 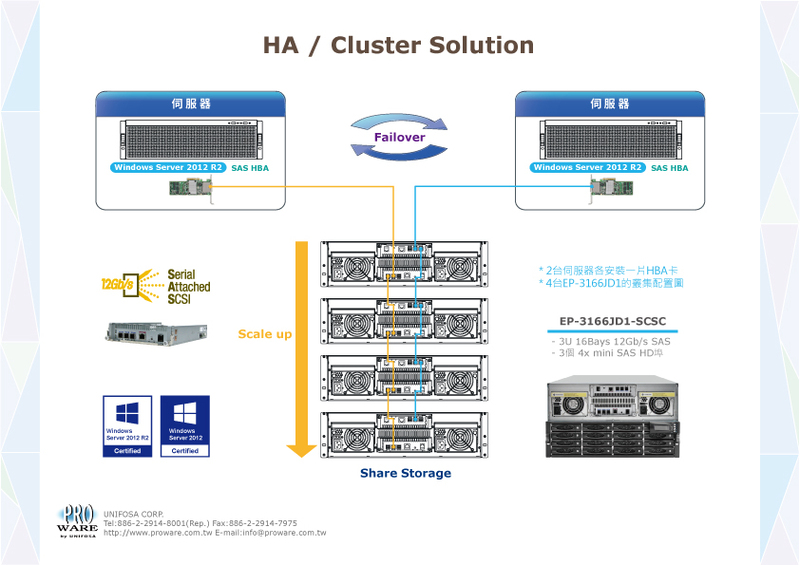 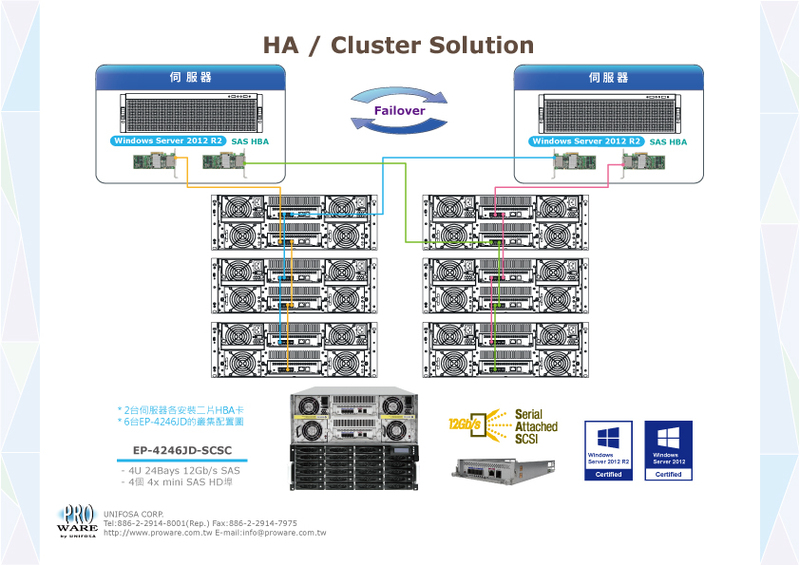 There are totally 3 platforms and 6 models available, including 2U 24-bay form factor (EP-2246J/JD-SCSC) , 3U 16-bay form factor (EP-3166J1/JD1-SCSC) and 4U 24-bay form factor (EP-4246J/JD-SCSC). 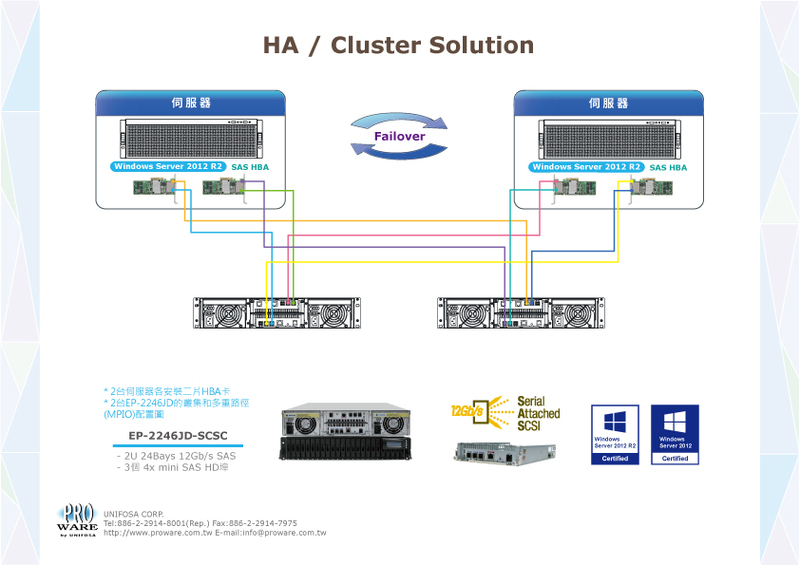 The 12Gb SAS JBOD series accommodates the latest SAS 3.0 12Gb/s interface which boost up the throughput up to 4,800MB/s per host. 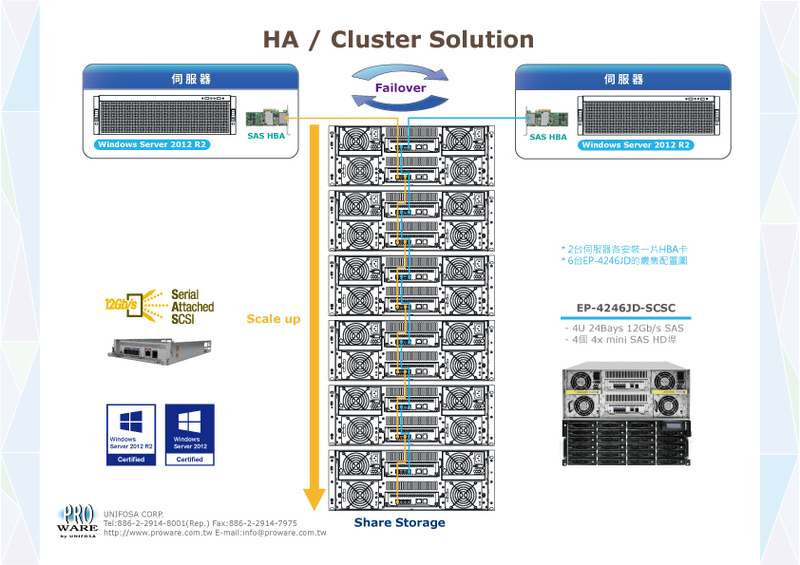 Based on this powerful performance, 12Gb SAS JBOD series can efficiently meet demands for Windows Server 2012 projects.